Welcome to Day 4 of #ChristmasCookies week hosted by Ellen at Family Around the Table where we bring you every imaginable tasty sweet treat to get you ready for the Christmas cookie baking season! This is another keeper! As challenging and overwhelming as it can be sometimes for me to maintain a busy full time work schedule, be single mom to a 4-year old who needs a lot of attention and a 19-year old who, though generally self-sufficient, also needs a fair amount of attention due to his medical issues, and keep up with the normal day to day household needs (thank goodness for an amazing sister who shares that load) - I like to add in the extra challenge of posting every day during these weekly themed events that pop up throughout the year and inevitably towards the end I start feeling burnt out. 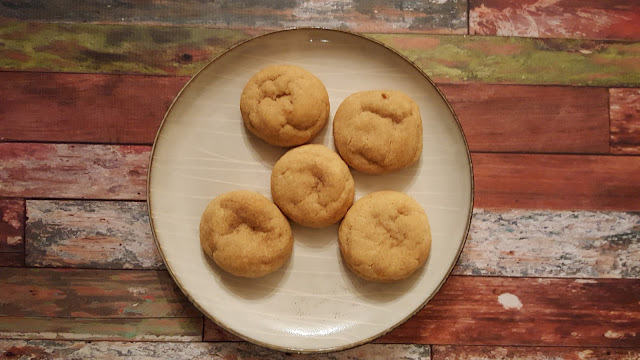 Because as good as my intentions are to get ahead of the game and have everything ready to go well in advance, I still often find myself baking at 9 or 10pm the night before a post is due. It's definitely my choice to fill my schedule up so completely, but I seem to thrive off the busy pace and deadlines. 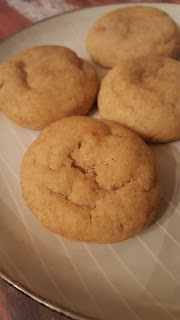 And, y'all, I get to eat gingerdoodles at the end of the day! These are delicious. 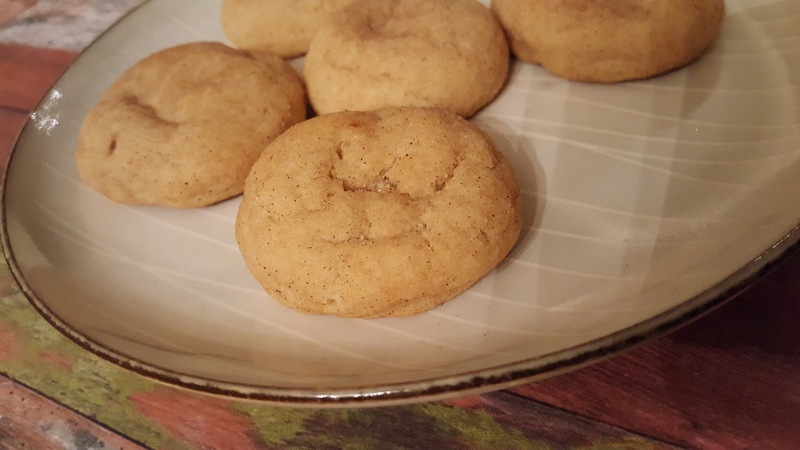 If you like snickerdoodles, definitely give this ginger-kissed variety a try. These are pillowy soft, chewy bites of lightly spiced goodness. Perfect with a glass of milk or coffee to wrap up your hectic day too! And you can keep the prepped dough the in the refrigerator for up to a week or so, and bake as needed for a fresh batch without having too many at any time. This is a lovely recipe! Come see all the amazing treats we're sharing today! In a separate bowl, combine the flour through ground nutmeg and whisk gently to combine. Slowly add the dry ingredients to the wet, just until blended. In a separate bowl combine the cinnamon and sugar for topping, and set aside. Roll dough into walnut sized balls and roll gently in the cinnamon sugar. Place on a silpat or parchment lined baking tray. Bake in pre-heated oven 11-14 minutes, or until lightly golden brown on the bottom. Cool on tray about 3 minutes, then remove to a wire rack to finish cooling.